This is greatest news for candidates who are eagerly waiting for Latest Railway Jobs. You will happy to see golden opportunity this year. Yes candidates !!! your wait is over. Indian Railway Integral Coach Factory has announced huge number of vacancies for you. 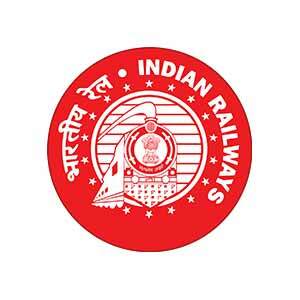 Indian Railway Integral Coach Factory has announced 157 vacancies for Apprentice posts. Candidates who are eligible and interested for these posts. They can apply for Indian Railway Integral Coach Factory Recruitment 2017 from website www.icf.indianrailways.gov.in. Moreover candidates can also search for Indian Railway ICF Recruitment 2017. Official notification is already uploaded on website. Candidates can read official notification. before applying for these posts. Online application form are already started. Applicants can apply for these vacancies upto 21st August 2017. Further details like important dates,eligibility criteria. application fee, selection process, age limit, pay scale, how to apply etc. regarding Indian Railway ICF Apprentice Recruitment 2017 is given below. As you know, Indian Railway Integral Coach Factory has announced recruitment notice to fill 157 vacancies of Apprentice Posts. Eligible and interested candidates for these vacancies can apply through official website. Candidates who wants to apply for Indian Railway Integral Coach Factory Recruitment 2017, they must have possess 10th and National Trade Certificate in notified trade issued by the National Council for vocational training from recognized board or Institute. For more details refer official website. Furthermore, Age limit is 15 to 24 years as per official notification. Moreover age relaxation of 05 years for SC/ ST candidate and 03 years for OBC category will provide. Selection of candidates will based on marks obtained in Xth class (for fresher), marks obtained in Xth or ITI (for Ex-ITI). For more details refer official notification. Applicants who wants to apply for Indian Railway ICF Recruitment 2017, they have to pay application fee of Rs.100/- for General and OBC. Moreover, candidates belongs to SC/ST/PWD category are exempted to pay any application fee. Selected candidate will get pay of Rs.5700/- during 1st year, Rs.6500/- for 2nd year, Rs.7350/- for 3rd Year. Further, candidates can check details Indian Railway Integral Coach Factory Vacancies 2017 for 157 Posts from below. Moreover candidates can also refer official notification for more details regarding this recruitment. Age Limit : 15 to 24 years as per official notification. Selection Process : marks obtained in Xth class (for fresher), Xth or ITI (for Ex-ITI). Stipend : Rs.5700/- during 1st year, Rs.6500/- for 2nd year, Rs.7350/- for 3rd Year. Educational Qualification :- Candidates who are going to apply for this Indian Railway Integral Coach Factory Apprentice 2017 Application Form, they must have possess 10th and National Trade Certificate in notified trade issued by the National Council for vocational training from recognized board or Institute. For more details refer official website. Age Limit :- Applicants who are going to apply for Indian Railway ICF Recruitment 2017, their Age should between 15 to 24 years as per official notification. Moreover age relaxation of 05 years for SC/ ST candidate and 03 years for OBC category will provide. For more details refer official website. Pay Scale :- Selected candidate will get Selected candidate will get pay of Rs.5700/- during 1st year, Rs.6500/- for 2nd year, Rs.7350/- for 3rd Year. Further, candidates can check details Indian Railway ICF Apprentice Vacancies 2017 for 157 Posts from below. Marks obtained in Xth or ITI (for Ex-ITI). Application Fee: Applicants who wants to apply for Indian Railway ICF Recruitment 2017, they have to pay application fee of Rs.100/- for General and OBC. Moreover, candidates belongs to SC/ST/PWD/ Women category are exempted to pay any application fee. For more details refer official notification. Candidates will have to transfer the amount to following account. How to apply for Indian Railway Integral Coach Factory Recruitment 2017 ? First of all visit official website “www.icf.indianrailways.gov.in“. Look around for “Indian Railway Integral Coach Factory 2017 application form for 157 Apprentice Vacancies“. Enclose application form with all original documents like 10th , ITI , 12th Marksheet, Category certificate ( if any) and other relevant documents. Downloaded application may be sent in a cover superscribed as “Application for Apprenticeship” sent by ordinary Post to following address. Sir i have passed 10+2 and i am searching a tc jobs . For this , I don’t get any notification pertaining to it . Now i am appearing for graduation under calcutta university . Pls send me any notification for this job.